Though we hope to avoid reactions as much as possible for our children, they do happen. Emergency care can be required during acute FPIES reactions. 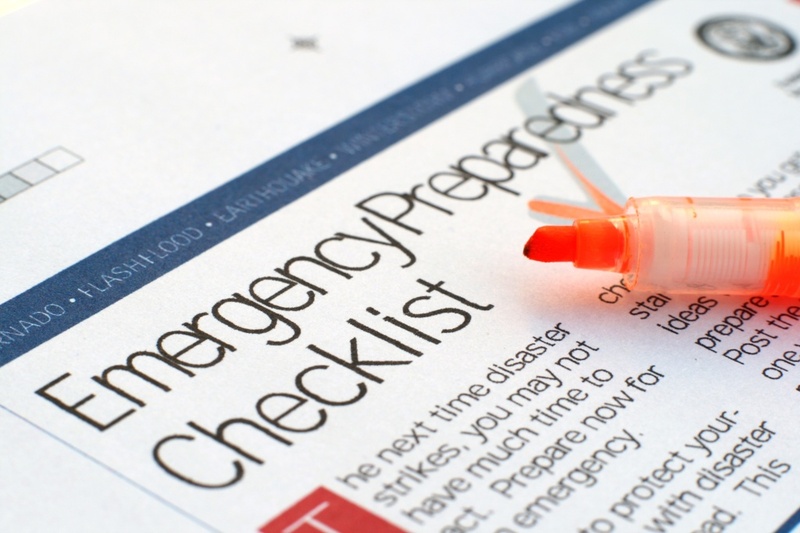 From accidental exposures to retrialing foods, a large part of living with FPIES means being prepared. 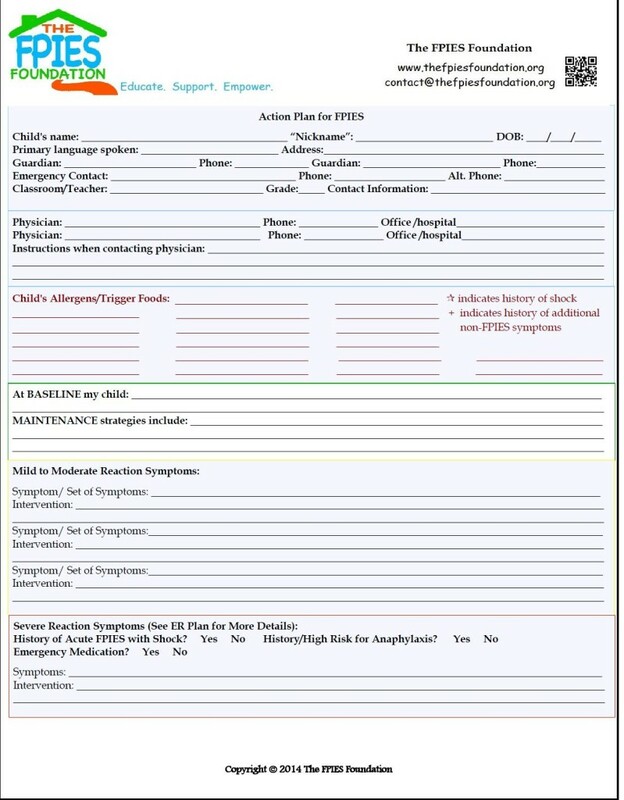 Check out the tools below to help you to be prepared and to support your child during an FPIES reaction requiring emergency care. 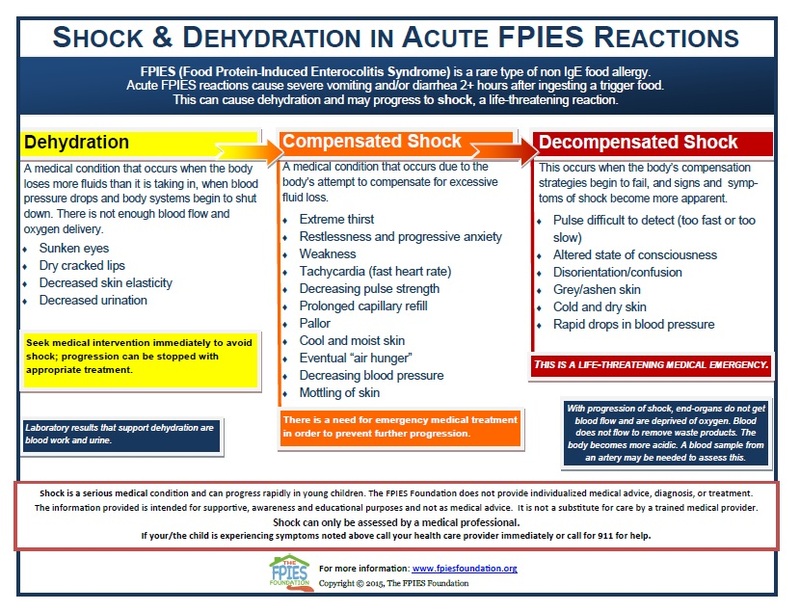 Acute FPIES reactions can progress to shock. Learn how to identify the signs and symptoms of shock, as well as the different stages of shock, and how they can present in infants and children. 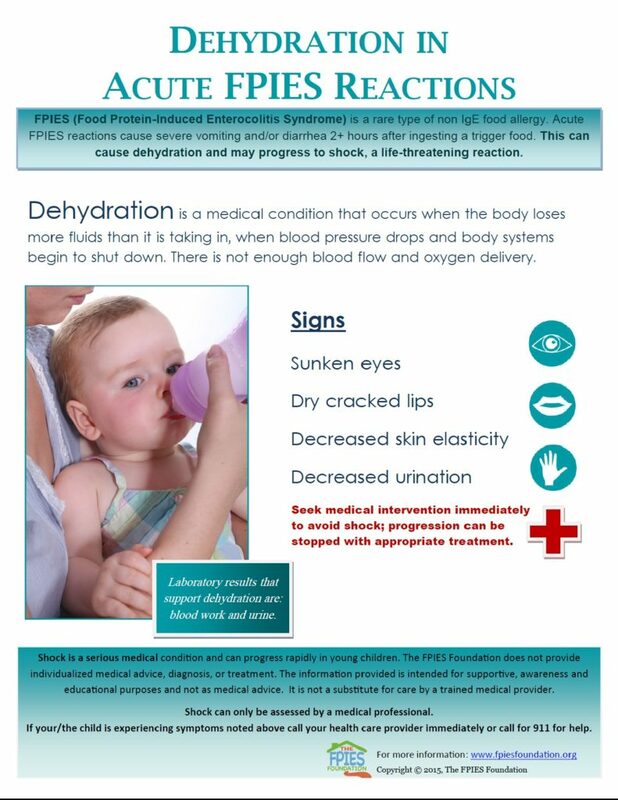 Learn how to recognize signs of dehydration and how to respond to them during an Acute FPIES reaction. Infants and small children can become dehydrated very quickly. Seeking medical support to prevent further progression to shock is imperative. 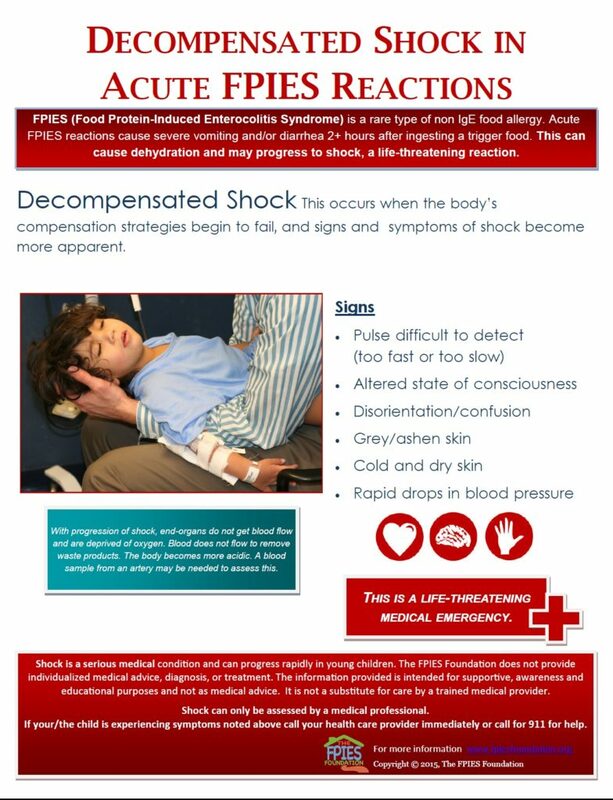 Shock, when left untreated, can progress from compensated shock to decompensated shock. 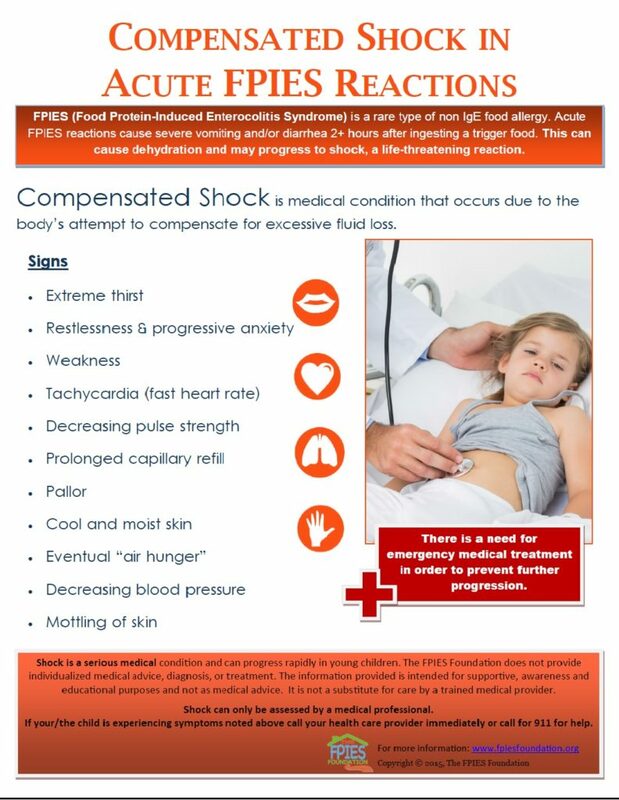 Seeking immediate medical care is essential when either stage is observed, as shock is a life-threatening condition. As a specific, important component of the Care Plan and/or Action Plan, the ER plan is designed to give protection and a VOICE to your child in times of crisis. It includes the ER letter, is specific to your child’s history, and considers the potential effect of a crisis on the whole child. Sicherer, Scott H. Understanding and Managing Your Child’s Food Allergies. Baltimore: The Johns Hopkins University Press, 2006(36). 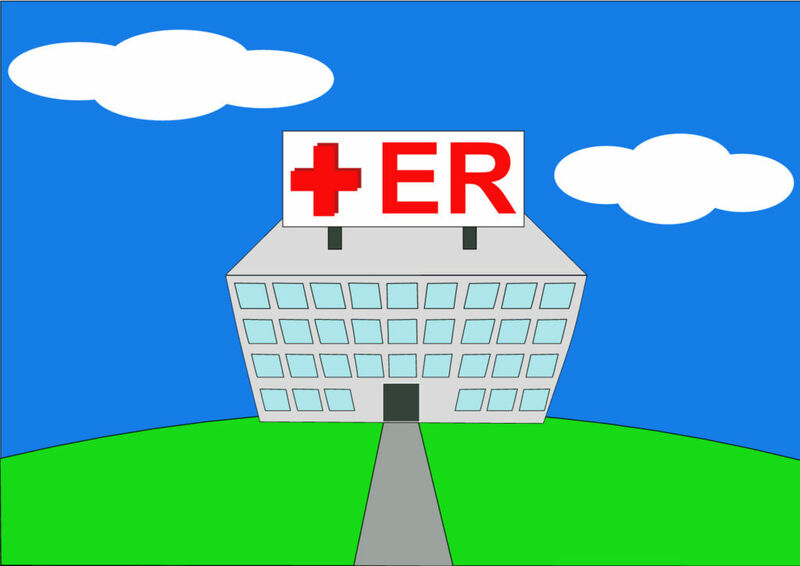 An ER letter is a document that you take with you to the emergency room if you feel that your child requires medical intervention due to an FPIES reaction. Typically, you would ask you child’s doctor to write this letter but in some circumstances when a doctor knowledgeable about your child’s condition is not accessible, a parent might need to write this letter themselves. Here are some helpful tips to get you started on this process and to assist you in determining the letter’s content. This checklist is designed to get you started and is by no means exhaustive or complete for all families. Sit down with a loved one and think about what you would need to navigate a 24hr period in the hospital to customize this list. 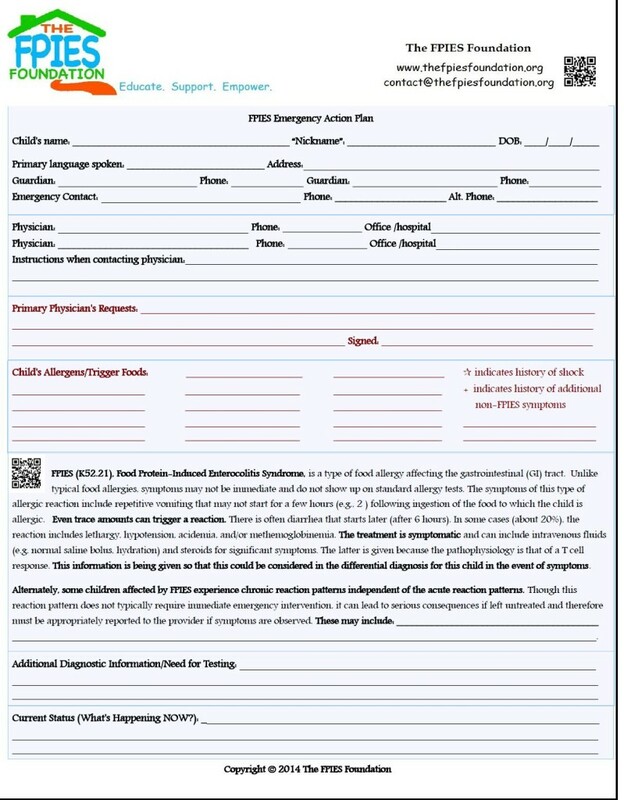 This card is a great companion to your child’s FPIES ER letter when your little one requires emergency care. It is also a great tool to keep on hand for school, daycare and travel instances. In what ways can I help my child during an FPIES reaction? It is important to keep your child comfortable and get to medical attention for treatment. If your child has had prior severe FPIES reactions, is vomiting repeatedly, appears ashen-gray or lethargic, call 911 immediately. If you know your child ate their trigger food, you should head off to medical attention, such as an ER rather than a doctors office, so that monitoring and potential treatments can begin promptly. 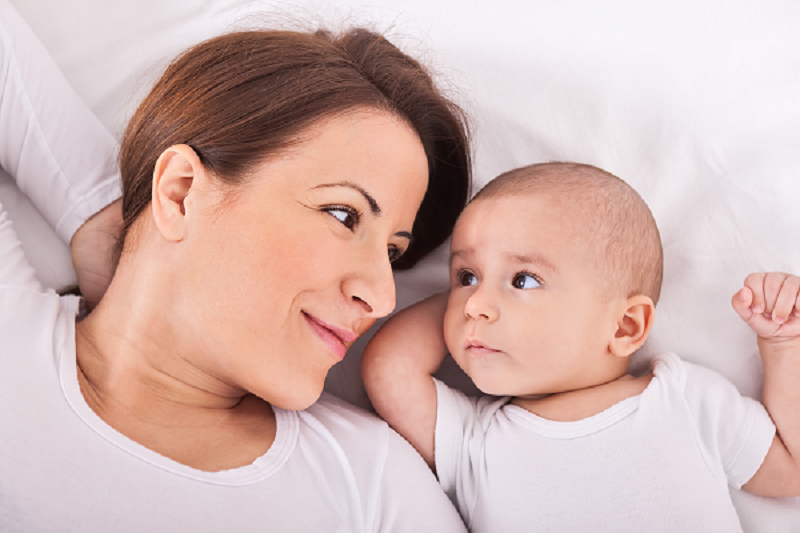 If prior reactions were mild (such as 1-2 episodes of vomiting) and self-limited and your child appears comfortable and is no longer vomiting, oral rehydration with clear fluids or ice chips at home may be sufficient, but always speak with your doctor. Wait 10-15 minutes after an episode of vomiting and start offering small amount e.g. 1 tsp-1tbs of clear liquids every 5 minutes. Do not offer larger volumes of fluid because they may provoke more vomiting. Check out our Twitter Chat with Dr. Sakina Bajowala on ER Care, first ever #FPIES Chat in honor of Global FPIES Day 2016. What do I do if I think my child is showing symptoms of shock? Symptoms of shock would usually come after significant vomiting and, hopefully, you would have already made your way to an emergency room. Symptoms of shock, when the blood pressure is low, can be difficult to detect because any child with repetitive vomiting already appears ill. However, symptoms of shock could include a pulse that is hard to feel (very fast or very slow), weakness, confusion, listlessness, passing out or having skin color changes such as becoming ashen-gray, pale or blue. You should immediately call 911 to get your child to emergency care as soon as possible. They will treat with intravenous fluids and potentially additional treatments such as oxygen or steroids. We do not know if giving epinephrine (adrenaline) would help (e.g., an injection via an autoinjector at home), but your doctor might prescribe one. “Helping Families Navigate the Emergency Room with a Rare Disease“, our blog post with helpful tips and resources.